This is the 80 piece, front entrance set in the Aspen home of Prince Bandar bin Sultan, former ambassador representing the Kingdom of Saudi Arabia. 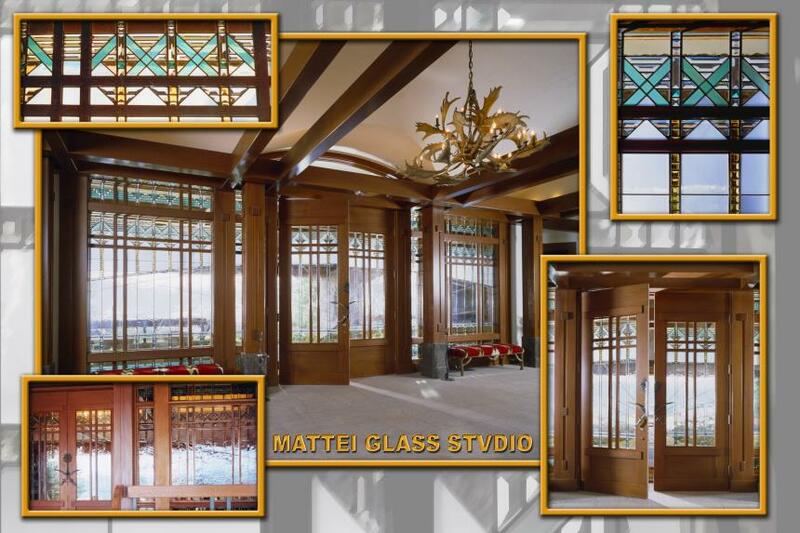 The design is an Arts and Crafts style which perfectly compliments the architecture of the residence. The exclusive use of handblown glass, colored dalle glass for the bevel work and the entire project is fabricated in solid copper channel makes the glass work a dynamic part of Prince Bandar’s home.